the flower ... in progress, takes 24 hours for them to harden and mould in the flower shape! day 361 and i have been SO desperate to try these flowers to see if they actually work for mere mortals! the picture below has been trending on pinterest and i know why, aren't they amazing! 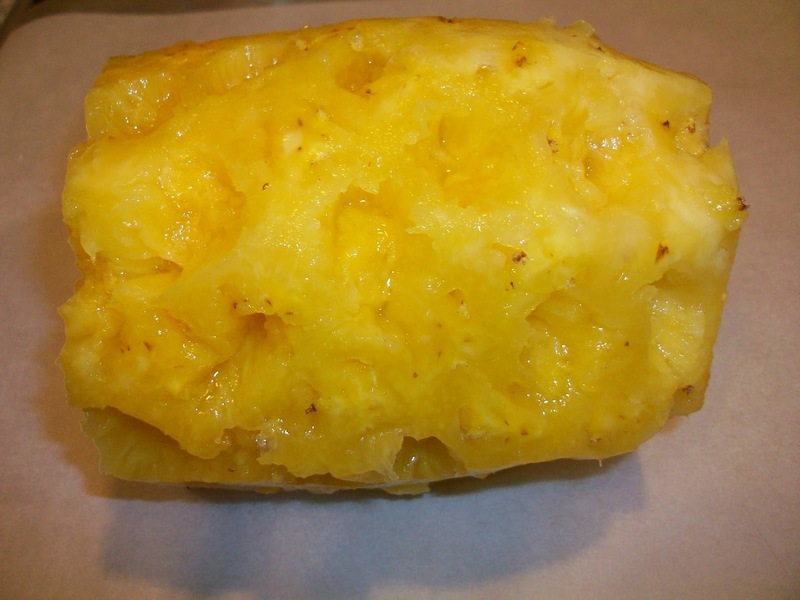 you start with a pineapple, take the outer green layer off, then using a spoon or similar take divots out all around the pineapple so it no longer has a uniform flat face. 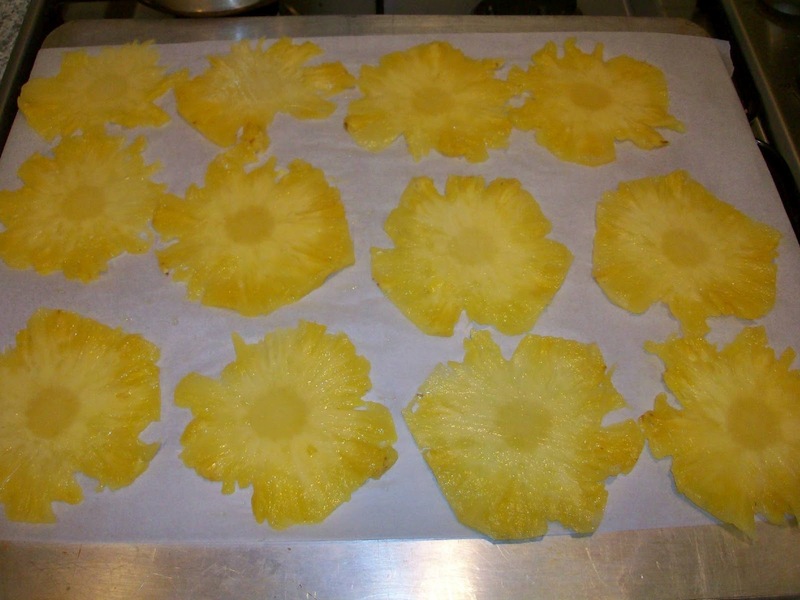 then slice very thin pieces of pineapple and put into a low (~100 degrees celcius/225F) oven for 30 minutes. you then flip them over and bake for another 30ish minutes until they are dry. 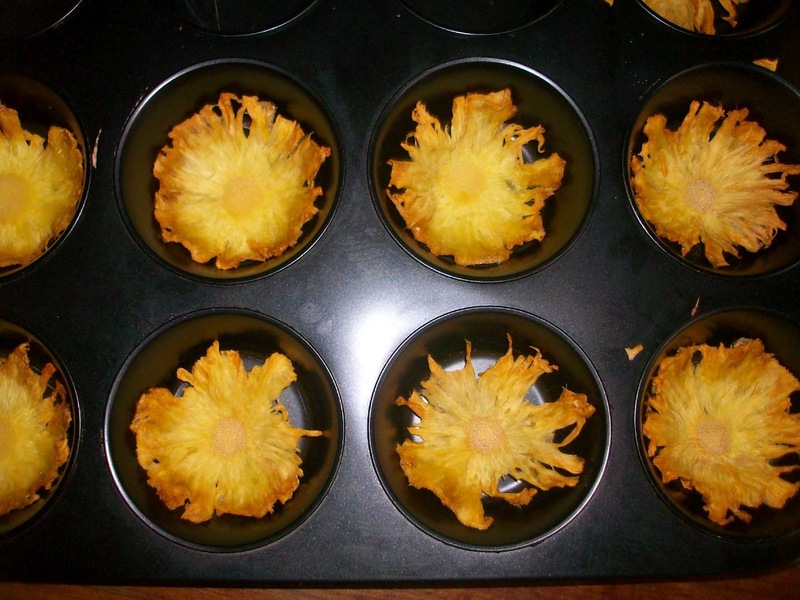 take them out of the oven and mould them into a muffin tray where they are left to harden overnight. my holed out pineapple, it was at this stage i had real doubts! doubts starting to abate as they seemed to be looking more flowery now! my sincere thanks to the duitang website for the totally inspiring photos that went so well with the words from brown-eyed baker ... together these two websites made the perfect tutorial for making these pineapple sunflowers. 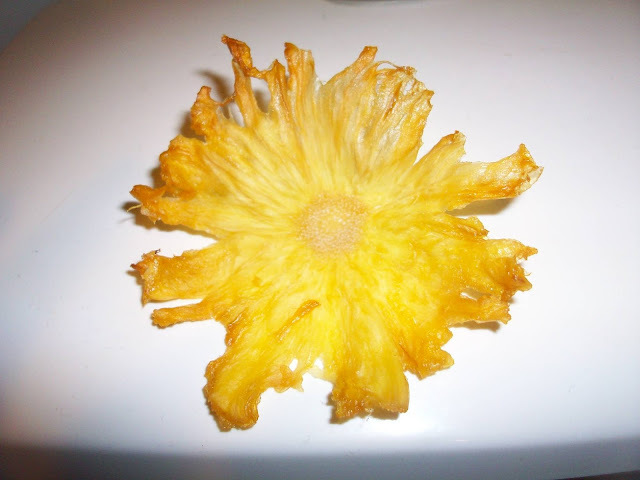 Luis saw this post over my shoulder and wants me to make the pineapple flowers and the Venus transit cookies now! (Pineapples are very big in the Azores apparently) Guess I know what I'll be doing this weekend! LOL! Did you guys actually get to see Venus crossing the sun? 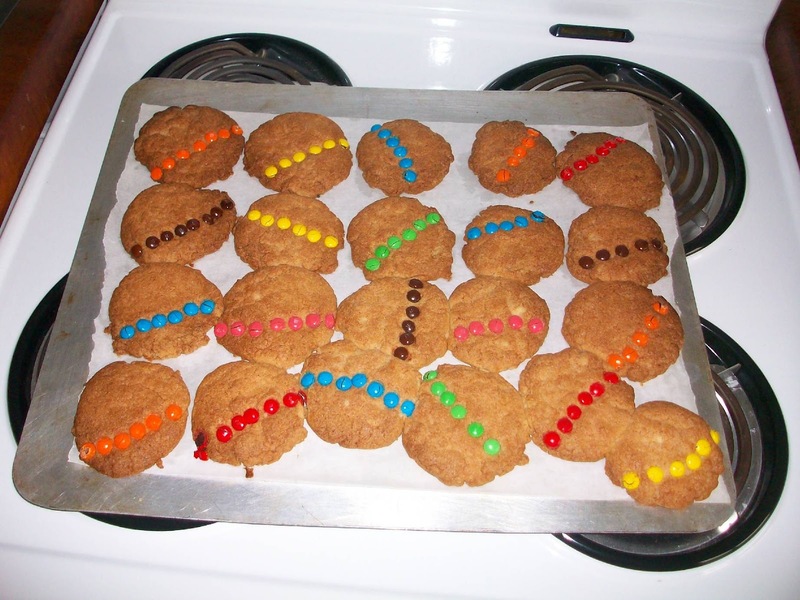 The Venus transit cookies are soooo cool, totally made me chuckle at such a simple idea!!!! 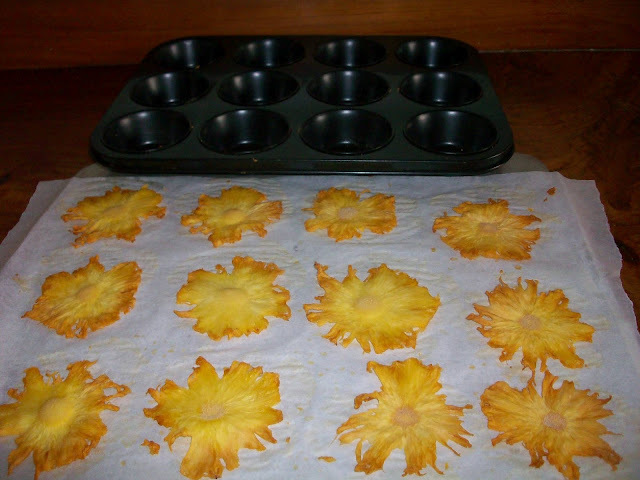 The pineapple flowers look amazing, I'll wait to see what you make of them!! !